Note: This lock is found with both Chubb and Union branding. 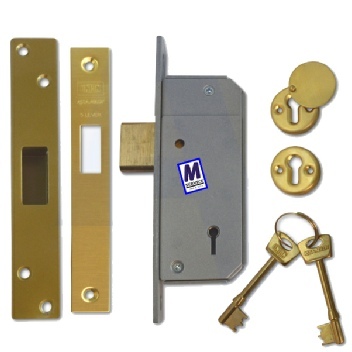 Most Chubb security & safe keys are un-numbered and therefore are copied from your sample. We suggest that one key is kept in reserve & unused ensuring accurate duplicates, greatly extending the life of your lock. Chubb rebranded Union - Narrow Stile Mortice Deadlock, 54mm. Ideal for doors with a narrow stile such as glazed & French doors.